Some parents are very lucky to receive a wardrobe of treasured heirlooms and accessories for their new little one — a goody bag of now vintage frocks saved by relatives from generations past. Most of us are not so lucky. But there’s no need to fret, this is where Belle Heir Fine Vintage Clothing for Babies and Children comes in. Belle Heir hunts down and sells keepsake-quality, unique vintage pieces for newborns to 5-year-olds. Their selection of gingham, velvet and tweed dresses, coats and rompers of year’s past will add a touch of style and elegance to your child’s wardrobe. 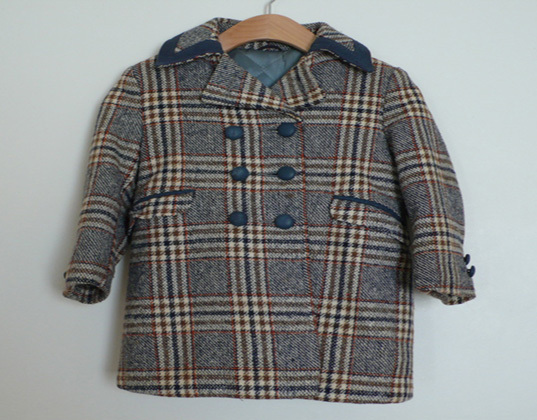 Belle Heir’s current selection of kids clothing includes many pieces from the ’30s, ’40s and ’50s, but you’ll also find clothing from as far back as 1880! The company is known for their emphasis on quality clothing with a focus on attention to detail — hand-stitching, pleating, embroidery and button-work all put them a step above the rest. Each piece in the Belle Heir fall collection is unique and original, giving your child a heirloom piece that will be in your family for generations to come. So, even if your ancestors didn’t preserve their baby clothing, you can still have a lovely vintage assortment of dresses, rompers and accessories that will become heirlooms in your own family. that is SOOO cool!!! have always looked at vintage shops and enjoyed it but never saw kids stuff before...very neat! 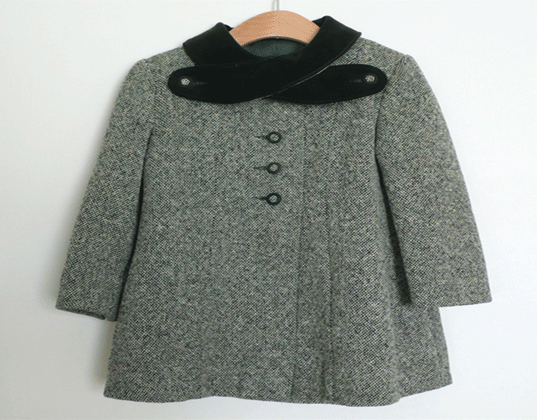 Some parents are very lucky to receive a wardrobe of treasured heirlooms and accessories for their new little one -- a goody bag of now vintage frocks saved�by relatives from generations past.�Most of us are not so lucky. But there's no need to fret, this is where Belle Heir Fine Vintage Clothing for Babies and Children comes in. Belle Heir hunts down and sells keepsake-quality, unique vintage pieces for newborns to 5-year-olds. Their selection of gingham, velvet and tweed dresses, coats and rompers of year's past will add a touch of style and elegance to your child's wardrobe.